édité le 31/10/2017 - Plus de news de "CHEVRON" - Voir la fiche entreprise de "CHEVRON"
Chevron Australia announced its first shipment of liquefied natural gas (LNG) has departed from the Wheatstone Project located 12 kilometres west of Onslow in Western Australia. The cargo will be delivered to one of Chevron’s foundation buyers, JERA for delivery into Japan. - Wheatstone first LNG production was achieved on October 9, 2017. More. - Approximately 85 percent of Chevron’s Australian subsidiaries’ equity LNG from the Gorgon and Wheatstone projects is covered by sales and purchase agreements with premier customers. - The first Wheatstone LNG cargo will be delivered by the Asia Venture, one of six new state-of-the-art LNG carriers recently added to Chevron’s operated fleet. - LNG is a significant fuel for power generation across the Asia-Pacific region. - A single Chevron cargo of LNG from the Wheatstone Project could power Japan for ~ 9 hours. 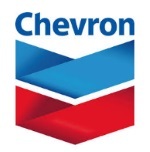 - Once Wheatstone is fully operational, Chevron is expected to be Australia's largest liquefaction owner with 15.8 million tonnes per annum. - At full capacity, the Gorgon and Wheatstone facilities have the capacity to produce 500TJ/d of domestic gas, around 50 percent of current supply in WA. - Recognised for environmental excellence and an innovative solution to reducing environment impacts, the Wheatstone micro-tunnel creates a shore-crossing for the 225km gas pipeline. - More than $250 million has been committed to social and critical infrastructure projects in Onslow, which include upgrading community facilities, education and health services, roads, and power and water infrastructure.